Martha López - Accounting - BECA. The BECA.org Foundation. Empowering Youth Education in Nicaragua. Hello everyone to belong to the huge family of BECA.org, it is a pleasure for me to write about my experience, to relive the moments were for me a great blessing and remain engraved in my memory. 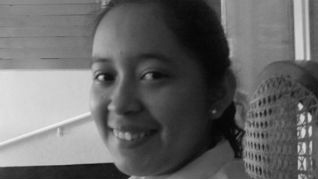 My name is Martha Antonia Lopez Gomez, I am 23 years, I am from the city of Masaya, I come from a humble family, I was one of the beneficiaries of the BECA.org organization to which I am infinitely grateful for helping me in the aspects of my life both economically, academically and socially. It was hard to know that my financial situation had to wait a few years to continue studying, because my sister was studying and she got a scholarship and my dad could not both at the same time; but I was not going to stay with folded arms. I realized that BECA.org was thanks to a friend from high school that as I did not have the resources to pay for our studies, she gave me a flyer and well I read all requirements calling, I decided to leave my papers and then I got a call telling me I had been selected I was glad she was determined to helped in this way, I started a computer course in which I found great people who offer us our friendship with each other, then the social service arose which concluded successfully. After finishing with the established, I had not yet defined what I wanted to study, in my mind had two career options I wanted: nursing or accounting. First I chose nursing made every effort to study for the exam session admission, unfortunately I did not approve, at the time I was sad because I thought I had already finished my opportunity to study, but God is so wonderful that we always prepares better things of which we expect. Again I went to the office to inform BECA.org what happened with regard to the review, however I was surprised where they explained that there was the possibility of studying another career and well decided Technical Accounting at the Academy of Commercial Sciences (ACC). Studying this was initially difficult, but not impossible. "I can do everything through Christ who strengthens me." I thank God for giving me the wisdom, dedication, effort and commitment to put to get ahead for my family and friend who always gave me words of encouragement, I finished the course with great effort. Today I'm working and practicing my knowledge also helped with my household expenses plus my needs. It has been a difficult road to travel, but you can get to where you want is just a matter of trusting God and attitude, thank you BECA.org, the work they do is very important and will be rewarded abundantly, help people in need it is humanly possible with you as their sponsors. God bless you! Keep always forward giving hope to achieve a better future for the families of this country.